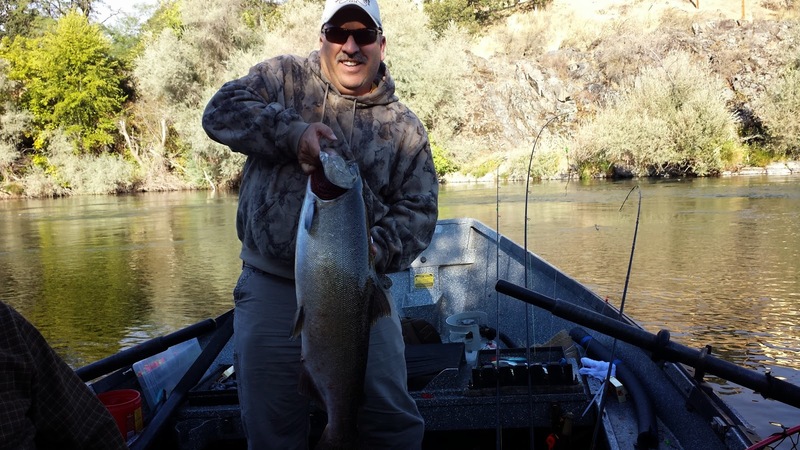 Here's John Johnson holding up a nice Fall King caught during this year's Middle Rogue STEELHEADERS' Salmon Derby. It was John's first fish back-bouncing eggs. He and his partner Bob Yarrow hooked a few other fish that got off! Atleast we were on the board!